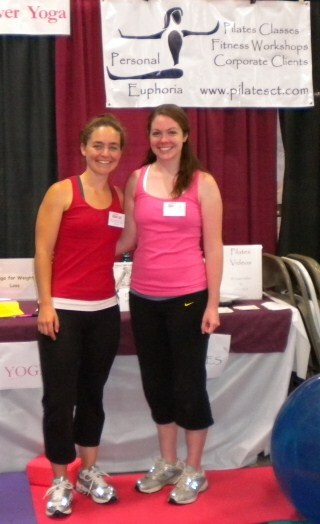 We had a great time at our first Women’s Expo at the Hartford Convention Center. We tried to get a number of people to balance on the stability ball and stand on the bosu. Kids seemed to enjoy the equipment more than their parents. The Personal Euphoria staff was most impressed by a 91-year-old woman who enjoyed sitting on the stability ball. If I’d had to guess her age, I would have estimated early seventies. She was a great inspiration. She let us know that she goes to the gym everyday and uses the stability ball. When her back aches she puts the ball against the wall and does squats. I hope that when I’m in my nineties, I’m still as vital and still rolling around on the ball. My best shot of getting to that point is to keep moving every chance I get.